What motivates a person to standup paddleboard 400 km along BC’s Central Coast or spend the winter on a remote arctic island with little but his surfboard? 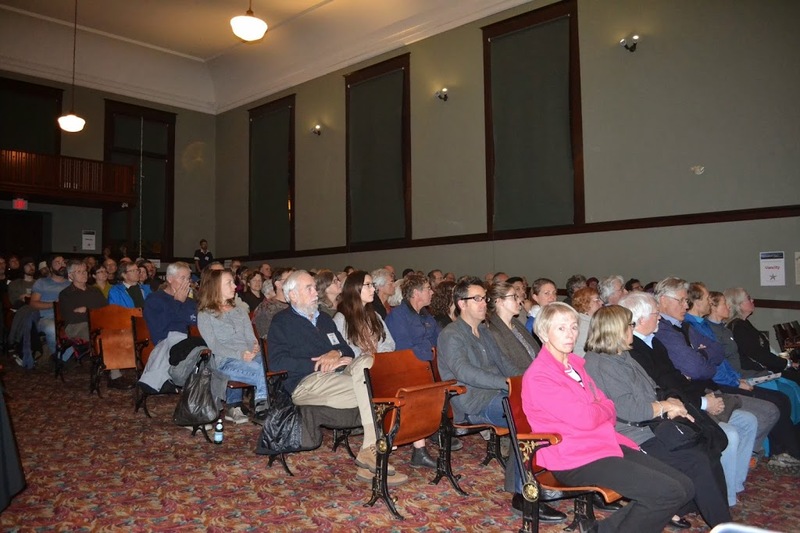 Over 120 people gathered in Victoria on November 13thto find out! Georgia Strait Alliance was proud to host these and six other inspirational stories at the Wild & Scenic Film Festival at St. Ann’s Academy. Now in its 11thyear, Wild & Scenic focuses on films which speak to the environmental concerns and celebrations of our planet, and travels to more than 100 communities throughout North America. When Festival organizers reached out to offer us the opportunity to bring the films to British Columbia, we jumped at the chance to play our part in spreading the importance of nature in our lives and the joy and adventure it brings us. 8 inspirational films about nature and conservation. A highlight of the evening was the chance to hear directly from Norm Hann, star of the film STAND, about his experience paddleboarding the 400 km tanker route from Kitimat to Bella Bella. The film is a hauntingly beautiful examination of the people and culture of the Great Bear Rainforest – and the lives of those committed to defending its fragile ecosystems against the threat of oil tanker traffic on BC’s coast. If you haven’t had the chance to see this film yet, we strongly encourage you to seek it out! The threats to the Central Coast and those we are facing here in the Strait of Georgia due to the potential increase in tanker traffic if the proposed Kinder Morgan pipeline is approved are eerily familiar. Films like STAND help us see what is at stake and motivate people to go out and make a difference in their community and around the world. People in the north and south are standing up for their communities – you need only look at those people standing up on Burnaby Mountain – and films like STAND make what’s important so clear. Another crowd favourite was North of the Sun, which chronicles the adventures of Norwegian surfers Wegge and Ranum who spent 9 cold months on a remote arctic island off the coast of Northern Norway. With little food and meager shelter, they survived with their most important possession – their surfboards, as the remote bay holds a well-kept secret: some of the world’s finest surfing waves. With humour, warmth and a strong sense of how important the natural world is to their lives, the surfers charmed the crowd, who left in awe at what these two adventurers endured and experienced, and with huge smiles on our faces! A big thanks to the Wild & Scenic Film Festival for giving GSA the opportunity to explore art as a means of increasing the conversation about social change and our place in the natural world. It was a truly powerful and inspiring experience!